In today’s reality, most holistic approaches to health in America have long since been separated from modern medicine. This is why Dee has dedicated herself to bridging the gaps between emotional, spiritual, and physical health. Dee’s genuine understanding of the whole person allows ancient wisdom to turn into modern healing. confusion about life’s purpose and or/destiny. abandonment neglect loss major life changes persistent cycles of self depreciation outdated childhood beliefs struggles with obesity confusion about life’s purpose and or/destiny. Each of us harbors the ability to heal ourselves, and Dee sees herself as a guide to each of her clients, helping them to empower themselves as they seek their own unique inner beauty and strength, while finding and sustaining a deep acceptance of their truest selves. Dee has over 20 years of combined knowledge in the corporate and counseling fields. She worked as an accountant/office manager with an emphasis on team building and crisis management before shifting her professional vision to counseling and therapy. Dee holds an undergraduate degree in psychology from the University of Phoenix, as well as a Masters of Arts in Community Counseling from Lakeland College. She is also a Nationally Board Certified Counselor. Connecting the mind, body, and spirit are at the core of Dee’s practice. Dee is certified in Brainspotting and received advanced training in trauma and sexual and physical abuse. 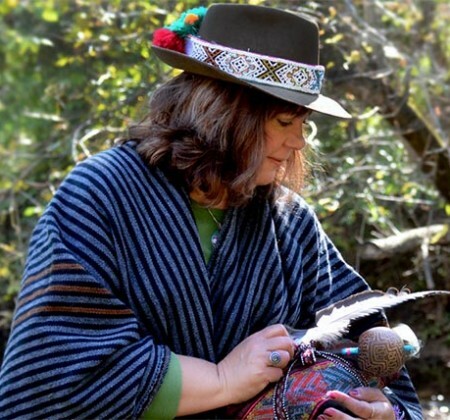 She is a Certified Shamanic Practitioner specializing in illumination, soul retrieval, and extraction. In her practice, she incorporates Emotional Freedom Techniques (EFT), also known as “tapping,” ego state therapy, mindfulness, movement, and sound healing. Dee works with clients ages 16 and older and has considerable experience working with women. I worked as an accountant/office manager with an emphasis on team building and crisis management, later transitioning to counseling and therapy. I have over 20 years of combined knowledge in the corporate and counseling fields. My undergraduate degree was in psychology from the University of Phoenix. I also have a Masters of Arts in Community Counseling from Lakeland College. I am certified in Brainspotting. I received advanced training in trauma, and sexual and physical abuse. I am a Certified Shamanic Practitioner, specializing in illumination, soul retrieval, and extraction, trained by Jaes Seis. I am also a Nationally Board Certified Counselor. I incorporate Emotional Freedom Techniques (EFT) also known as tapping, ego state therapy, mindfulness, movement, and sound healing when working with clients. My mission is to build a compassionate and trusting relationship with you. I enjoy working with individuals who are struggling with life challenges and are looking for direction in finding yourself and your purpose or destiny. my unique approach of combining mind, body, and spirit helps integrate parts of oneself that may have been lost due to several things, including: abandonment, neglect, trauma, feeling stuck in black and white thinking patterns, upheaval due to loss or major life changes, outdated childhood beliefs, confusion about life purpose and/or destiny, and those struggling with obesity issues. I believe that each of us has the ability to heal ourselves. I see myself as a guide with each of my clients, helping you empower yourself as you find your own unique inner beauty and strength. I believe it is crucial for you to understand that you are always in control of your healing. It is my mission to help you discover your purpose so at the end of your life, you will know that your life was anything but wrong. It’s about accepting all the blemishes and imperfections that make you whole and complete, simply as you are. I work with Boomer generation and self-improving individuals. At the end of the day I learn as much from you as you do from me. We’re all in this together.